This hand-woven challah cover is part of the exclusive sterling silver challah cover collection. 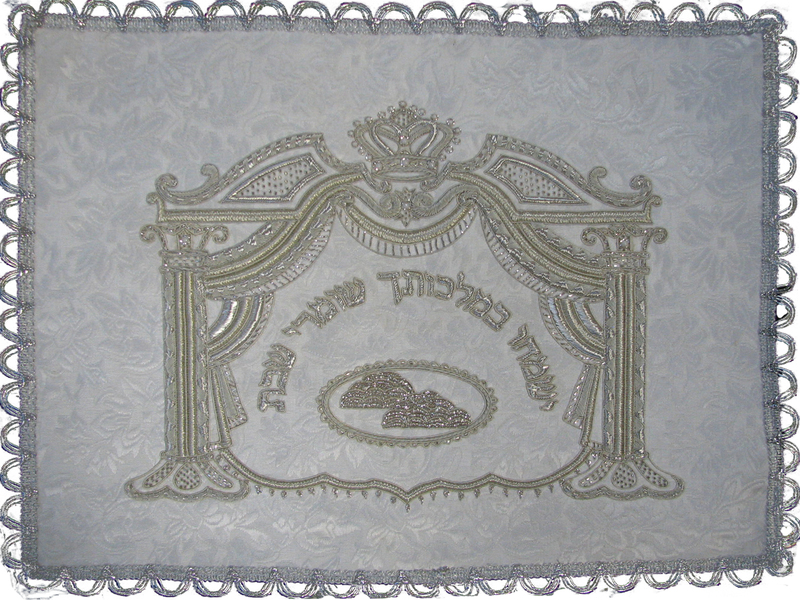 The challah cover, which includes sterling silver thread to emphasize its glamor, is decorated with full canopy design on elegant heavy brocade fabric. The middle frame has a quilted effect with small flowers set in a pattern. In the center rectangle, there are two candlesticks with lit candles and two challahs with a crown above them. The Hebrew words, which are recited in the Shabbat prayers, “Yismichu bimalchuscha shomrei Shabbat”, which means “Rejoice with Your Kingdom, Shabbat observers” are arranged above the Shabbat icons. The edges are finished with silver arches.